The Albrecht-Kemper Museum of Art is pleased to partner with Mosaic Life Care for the Business + Art = Inspired Workplaces program. 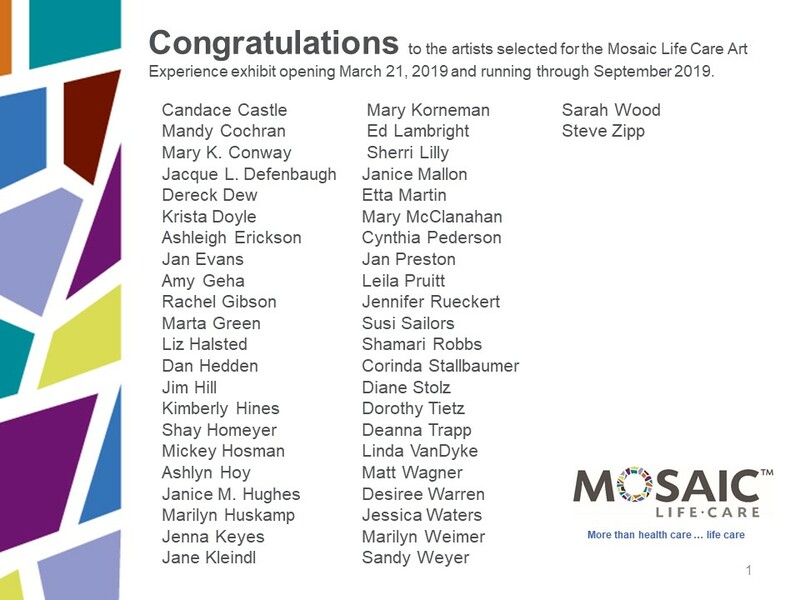 The Mosaic Life Care Art Experience Galleries will include individually themed and innovative art galleries at Mosaic Life Care. Mosaic and the Albrecht-Kemper Museum of Art invited artists who reside within 100 miles of St. Joseph, to participate in the juried exhibition. We encourage you to attend the opening and be the first to see this new artwork. 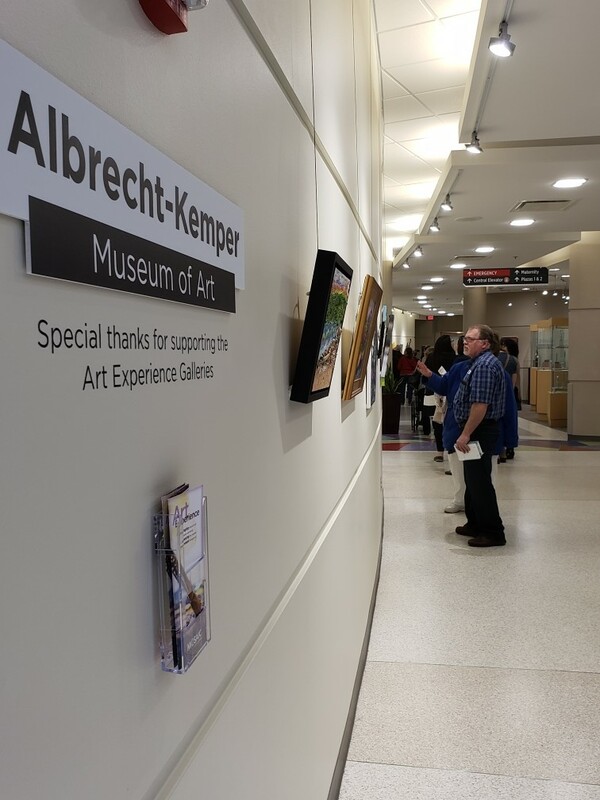 46 artists are participating and will have their artwork displayed at the Art Experience Galleries Opening Event on Thursday, March 21, 2019, from 5:00-7:00 pm, and for approximately 6 months thereafter.